If you’ve haven’t been living life in a bubble, you already know that California has been in the worst drought ever for the last four years. We are told not to water our lawns, to flush toilets only when necessary, and to take either very quick showers or bring in a shower bucket to collect run-off water to perhaps water plants afterward. We have an ocean alongside our great State, but not a drop can be used for drinking or to sustain life (unless we start desalinating ocean water). 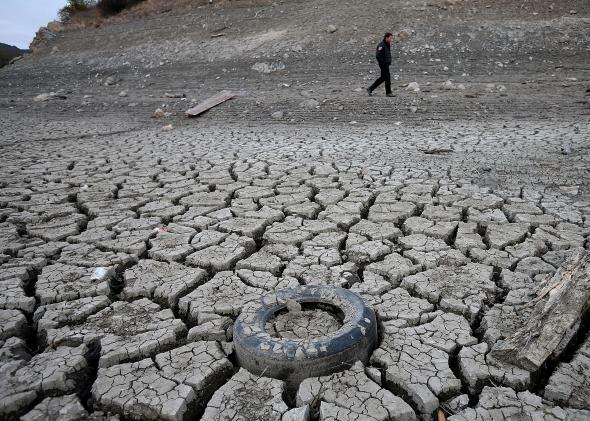 But the real story is how the water we do have is sometimes mysteriously disappearing. 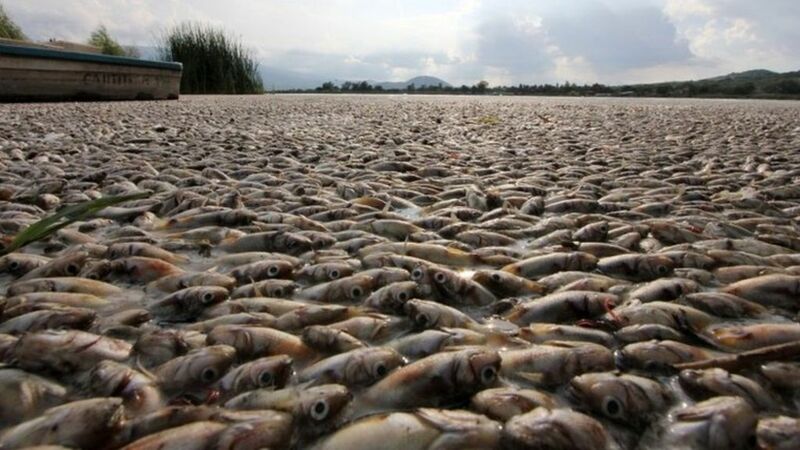 This past week we heard about how the 5,800 acre Mountain Meadows Reservoir (commonly called Walker Lake) dried up completely overnight leaving thousands of fish to flounder and die. The day before, people were fishing on this very lake. It’s as if someone pulled the bathtub plug during the night. Area residents blame Pacific Gas & Electric for emptying it, but PG&E claims they didn’t do it. Maybe they did and maybe they didn’t. It was the general consensus that the reservoir would probably dry up in another two weeks anyway, and PG&E would have had to relocate all the fish before then. Granted, we will never know if it was done to save time and money—or perhaps other culprits were responsible. California has been beset by water thieves for the last few years. Numerous reports of water tank trucks pulling up to aquifers in the dead of night and siphoning off thousands of gallons of free water is well-known. Even actor Tom Selleck was caught and arrested for stealing water for his ranch. THE WATER BARONS: “Familiar mega-banks and investing powerhouses such as Goldman Sachs, JP Morgan Chase, Citigroup, UBS, Deutsche Bank, Credit Suisse, Macquarie Bank, Barclays Bank, the Blackstone Group, Allianz, and HSBC Bank, among others, are consolidating their control over water. Wealthy tycoons such as T. Boone Pickens, former President George H.W. Bush and his family, Hong Kong’s Li Ka-shing, Philippines’ Manuel V. Pangilinan and other Filipino billionaires, are also buying thousands of acres of land with aquifers, lakes, water rights, water utilities, and shares in water engineering and technology companies all over the world.” While the government limits citizens rights to become water self-sufficient, it has no problem selling “water rights” to the corporations and banks. (READ MORE) This is the newest form of asset-stripping. First they amassed our oil, now our water! How much will a barrel of water cost in the future? Every day thousands of Californians pray for rain. Even when a few drips come down, we celebrate. If we could only get rid of the thieves, the greedy corporate profiteers, and government weather interference, we could rightfully reclaim the natural resource that’s meant for all of us to freely share. Please send California your RAIN THOUGHTS! Dr. Kathy Forti is a clinical psychologist, inventor of the Trinfinity8 technology, and author of the book, Fractals of God.